The shift in the Mayan calendar that took place on October 28, 2011 (according to the archeologists on December 21, 2012) has not yet been adequately debated. As the consequences of this shift did not conform to the expectations many people had, the discussion about the meaning of the shift was simply dropped by a large number of people and some even questioned whether the shift had had any consequences at all. Because the shift was so multifaceted, and occurred simultaneously at nine different levels, the expectations of people with modern worldviews were often thwarted and it may be only now that we can fully see its implications. In my view, the Mayan calendar remains the most important tool that humanity possesses to understand its past and future and the fact that this calendar was terribly misrepresented in the years prior to the shift does nothing to detract from its importance. There is indeed massive evidence from the course of history that shifts in the Mayan calendar lie behind all evolution of human civilization and its significant changes in thinking and acting. It is a calendar unlike all others in that it is not based on the material or astronomical reality, but on metaphysical changes affecting a global mind that human beings are in resonance with. Exactly how to attain this state of unity will depend on where we are as individuals, but some awareness of an otherworld guiding us humans may be helpful. Another thing that should be pointed out is that a mental state of unity, or Oneness, does not mean sameness. Instead, the gathering in Sedona in April of 2015 is about diversity is unity and honoring the varied cultural expressions that humanity has produced in different parts of the world. It is about coming together as one and leaving behind, or at least set aside, the kind of rejections of or condemnations of “otherness” that for millennia were generated by lower dualist levels of the nine-storied pyramid. In my own understanding, we at least now, after the 2011 shift in the Mayan calendar, have a possibility of manifesting diversity in unity with full appreciation of our individual differences that never existed before. 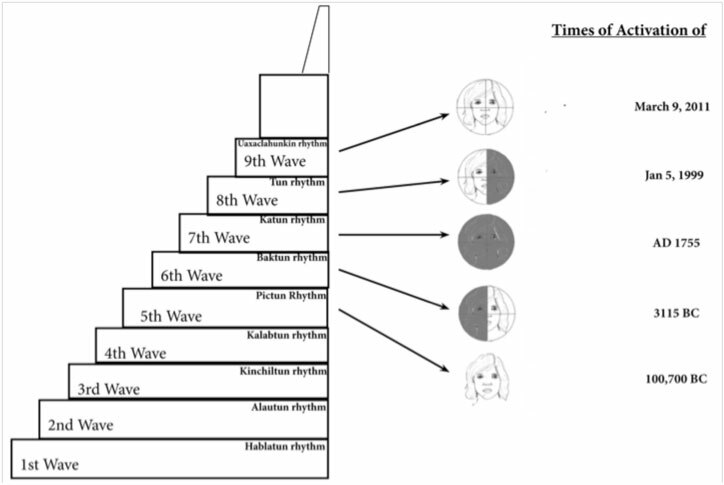 The activation of the ninth wave meant the beginning of a new possibility of unity for humanity, and as we work towards it, we will over time increasingly become able to manifest it as a reality. As part of this collective process the Sedona Gathering will be part of, and help organize a global meditation: “Spirit of the Earth” on Earth Day of April 22, honoring unity in diversity by manifesting a global medicine wheel including the four corners of the world. The global Medicine wheel will provide a common context for people wherever they are in the world to participate in the Spirit of the Earth Meditation. It is a means for everyone to be connected with everyone else as well as to the Spirit of Our Earth. In some places Medicine wheels may also be created locally or regionally, but a wide variety of ceremonies may be created to honor the Spirit of the Earth depending on what feels right to local organizers and individuals across the world. A map has been created for this purpose at http://www.eaglequetzalcondor.com/global-gathering/ where participants may find out about locations where ceremonies are taking place. But for unity to become durable, and continue to manifest as parts of our everyday lives, it will need to be grounded in our physical reality. The transformation we undergo must not only be an inner one, but also manifest in the external world of our social and technological reality. The state of consciousness of the Ninth Wave must be anchored in us and continue to be manifested in unison with others. 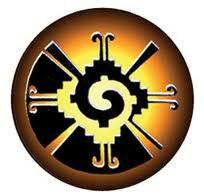 For this reason the elders at the gathering in Sedona will also discuss the future of energy technology (see http://www.eaglequetzalcondor.com/event-view/the-future-of-energy-sedona/) to solve the climate crisis. Another initiative is the One People Tribal Nation Charter (see http://onepeopletribalnation.org/nation_structure.htm ), open to everyone favoring true sustainability. To give structure, and permanence, to the honoring of the earth a clan system, with clan mothers as leaders, is being created for those adhering to this tribal charter. This again allows for diversity in expression with a primary loyalty to the common earth of the human race.